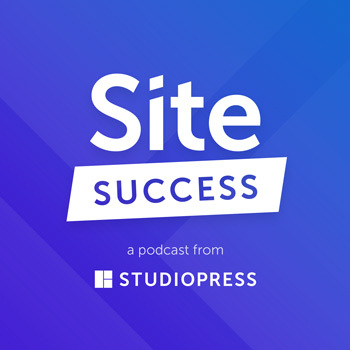 Yes, you’ve heard the main section of this episode before — about the importance of building an email list as part of your audience engagement strategy. But the intro and outro are new, as Jerod explains why we decided to rebroadcast this episode this week. The smartest showrunners know that their podcast is only the first step in building a deep, meaningful relationship with an audience. The next step, one that should never be overlooked, is building an email list so your most engaged listeners can take the next step in connecting with you. What is more valuable: an email subscriber or an iTunes review? Welcome to The Showrunner, where we have one goal: to teach you how to develop, launch, and run a remarkable show. Ready? My headphone just fell off. Jonny Nastor: Is that what that was? Jerod Morris: That’s what that was: awkward moments in podcast intros. Welcome to another episode of The Showrunner podcast. 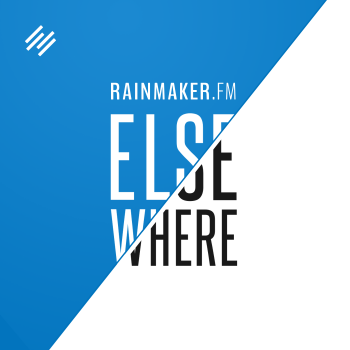 I’m your host, Jerod Morris, one of the VPs of Rainmaker.FM for Copyblogger Media. I’m here with my friend Jonny, the showrunner of Hack the Entrepreneur, Jon Nastor. Jon, how are you doing on this fine May afternoon? Jonny Nastor: Just swimmingly. Is that a complete description of how you are doing? I think so. I’m doing awesome. Jerod Morris: Good. Authority Rainmaker happened about three weeks ago, and we keep telling stories about it, and at some point, we’ll stop. There is one story that I do want to tell for those who weren’t there, because I think there is an important lesson to be learned from it and because it makes me look a little goofy. I had this slide in the middle as I was transitioning from my intro into the four central elements where I wanted to let people who are thinking about starting a podcast know that now’s the right time, and you’re never going to know if it’s really right for you until you get out there and start. There are all these great reasons to do it, and I’m going to give you the roadmap for the right way to do it. What you’ve got to bring is that willingness to get started, to make the big leap off the cliff and get started. I had this whole pretty animation with my slide ready to go with the big word ‘Start.’ It comes down, and this picture fades in of a guy jumping off a cliff. It was going to be this really powerful visual that matched up perfectly with my words and my hand gestures, and everything was all practiced and ready to go. In that split second, I panicked a little bit, because when you practice a presentation, and everything works right, obviously when you’re up on stage in front of 600 people in an opera house, that’s not when you want to have one of your slides malfunction. It was interesting, because all of the practice that I’ve had on this show and hosting The Assembly Call and doing all these shows where stuff happens and it’s not exactly how you want it helped prepare me for that moment, which I hope I played off relatively well. I tried to not take it too seriously. I just chuckled and moved on. What’s funny is that after the presentation, that was one of the things that people talked about the most. Not in a, “Did I do okay not freaking out about it?” way. Then I looked at you, and for a second, it was like, “No, he didn’t plan this.” Then you totally, within a second and a half, were back on it, and you laughed about it and kept going. I was like, “Wow, that was a brilliant recovery.” Plus, it had that effect of bringing everybody completely into your presentation again, which is why it worked so well. It was well-played. I think you should also try and do that in other presentations because it worked really well, and it’s what everybody talked about after. Jerod Morris: It’s so funny. It’s like Chris Brogan talked about in his presentation — sometimes, leave the mistakes in. It puts you on the same level as the audience, and there’s a certain connection that happens there. It definitely was not intentional. A funny thing happened, which is that it was the most Retweeted- and Tweeted-about thing from my presentation. My number-one goal was going in was, “Look, if there’s someone who’s on the fence about starting a podcast, I want this presentation to get them over the fence and inspire them to start.” That ended up being the main message that came from it, even though it was a little disjointed, but it worked in that sense. The reason I wanted to share this story is simply because it’s important that when things like that happen, don’t freak out, number one. Just roll with the punches, and realize that sometimes it can be a blessing in disguise and not to freak out about it. Make it a genuine moment that you share with your audience, because when you do, I think they appreciate it. If I had stormed off and been upset that the slides were formatted wrong because they looked right in practice, I would have seemed like some weird, emotional diva type that no one would like. I try not to be that. Jonny Nastor: You try not to be that? Jerod Morris: Yeah. I try not to be that. Jonny Nastor: This is interesting because — watch this segue — still, to this date, I have my email list and my newsletter that I send out, and I call-to-action people at the end of my show to get onto that. I just logged into MailChimp, and the number-one-opened email that I’ve ever sent — and I’ve poured my heart and soul into some of these emails to be the best writing I’ve done — the subject line was ‘Correction’ and an unhappy face. Before that, I was just starting my newsletter, and I had sent out a newsletter. Halfway down it, the newsletter from the week before was in it, and it was a complete mess. I didn’t check it, but as soon as it came to my phone after it was sent, I read it. I was like, “Oh my God, I’m the worst.” I instantly went back in and said, “Correction, sorry, I totally screwed up. Here’s the actual one. This is just going to prove to you that if I can do this, you can do this.” I got so many replies to that, and that’s the most-opened — 72.2 percent open rate on that email — because it was a mistake and people related to it. It works. That’s my segue into email. Jerod Morris: We had to send an ‘oops’ email when we did the launch for the Showrunner course, because one of the links wasn’t working. The oops email is the one that got opened up the most. Don’t do it all the time, because people will think that you just don’t know what you’re doing. But every now and then? Jonny Nastor: No, don’t fake it. Jerod Morris: Don’t fake it. Don’t plan it. Just know that it will happen, and roll with it, just as we are going to roll into our topic about email. Those were two powerhouse segues right there. Nice job, Jon. As the person who is creating the content and running the email list, there’s an obvious benefit to you of getting the email address, so it’s obviously important to remember to articulate the benefit to the person of giving you the email address. Jon, I know email has been huge for you with Hack the Entrepreneur. When we talk about this topic of email, and specifically, linking email with a podcast and using a podcast to build an email list, what are the first one or two or three tips that come to mind to help people out as they either go down this road or start to tweak what they are doing to get better at email? Jonny Nastor: First and foremost, I’m doing it wrong. Secondly, be human. I’m doing it wrong because I don’t give anything away. I absolutely do not give an incentive. The incentive is that I’m going to write you. There’s no automated messages, and this is my call to action. Literally, I’m going to write you personally every Sunday afternoon with things that I’ve been thinking about, working through, in my business and the smart people I’ve got to talk to that week. I learn a thousand things every week, and I’m going to find one of those things, and I’m going to try and teach you and share it with you. Jerod Morris: Wait, that’s the incentive. Jerod Morris: Ebooks are overrated. Who was that who talked about how everybody has a whole folder on their desk of ebooks they’ve downloaded but haven’t read? I think your Sunday newsletter is the incentive. It’s like with The Assembly Call, what we do is we send out a post-game newsletter that only the email people get. That’s the incentive. If you want to get this post-game analysis email, you’ve got to be on the email list. It’s the same thing with The Showrunner, where only the people who are on the list could get the pilot launch. It’s something that’s specific to them. Jonny Nastor: Right, it’s just when we first say that you need to give something, like incentivize people, people always think of those lead magnets and whatever that stuff is people talk about, which is, “Let’s create some crap that we think people like.” They don’t. If they do, I think it was Chris Brogan who was like, “They probably just download it, and they instantly unsubscribe from you because they just wanted that free thing, and they’re never going to read it.” It’s just a game you’re playing for some reason, and I don’t do that. Jonny Nastor: Mine is the most human aspect. Plus, I say that it’s a direct link to my inbox. 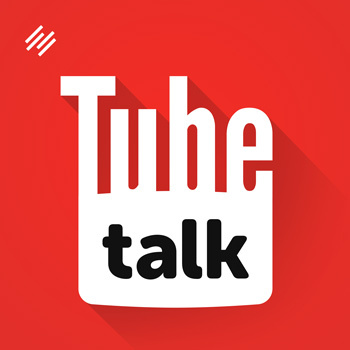 If you want to talk to me, subscribe to that. Literally, the first welcome, which is the only automated message on my list, you can hit ‘reply’ to that, and it comes to my phone. Or it comes to my laptop. Talk to me. Ask me questions. Tell me what you think. Tell me if you like me, or you don’t. That’s cool. That’s your link, and that is an incentive. That could be your incentive. The main thing to me is to be human. My incentive really is the human aspect that this is actually me. The other mistake that I see people making with email lists is talking about it as ‘email lists.’ These are people. If you have three people on that list, those are three human beings that have said they want to hear from you. 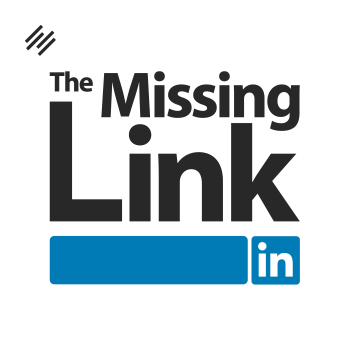 Don’t do the mistake that 99.9 percent of people make and be like, “What was the last thing you sent your ‘email list?’” They’re like, “I haven’t sent anything yet because I only have 78 people on there.” Really, so you don’t email those people? “No, no, I will once I get to 250.” Really? What do you think of those 78 people, which is a large room of people if they were standing there — which, they are standing there waiting for you? They said they want to hear from you. It’s weird to just let them sit there and always want more. I always want more people on my list. To me, I just want the people. I sent my first newsletter to 17 people. I worked so hard on that email, and it’s what I did. Then the next week, I had 32 people or something. These are human beings. This is your connection with your audience, so don’t treat it like anything less than that. There are human beings on the other end of this that are going to open this up, and that’s your chance to make the connection that you’ve started through your podcast. Do not neglect that. Do not treat them like numbers. Do not treat them like anything else other than human beings, because that’s what they are. If you don’t treat them like that, there’s no way they’re going to treat you like that. Jerod Morris: Jon Nastor, the human podcaster. Jonny Nastor: It’s crazy how much being human, people are shocked by it because they don’t usually get it. Who do you think are going to be the people most likely to share your stuff and send it to a friend and help you build and grow the audience? Those people. That’s why, even if you’re being selfish about it, those are the people to invest time in nurturing. The best mindset to have is the one that you continue to espouse, Jon, which is about being human. Treat people like humans. Let me play devil’s advocate for a second — and I know the answer to this, but I want to get your perspective. We talk a lot about how podcasting creates connection. We’re creating this connection with the podcast. Why do I have to then go to the next level of creating an email connection, too? What’s the benefit to me, as a content creator, of building an email list, especially when I’ve already got this podcast that is magically supposed to help me connect with people, because it’s audio in their ears? Jonny Nastor: There’s numerous benefits to it. That’s the ultimate extension of the relationship online. People naturally want to have that email. We have email connections with our friends and with our family, and then with the few people online that we’ve met through either a podcast or a blog that we want to take that relationship further. It’s just what we want. It’s essential. Plus at some point with Hack the Entrepreneur, I’m just going to be done with it. I’m going to feel like it’s gone its course, and I’m going to go into another podcast. These people that I’ve gathered up, if it’s 1000 or if it’s 2000 at that point or 5000, I can still talk to them. I can bring them to any other business or any other thing that I go into. To me, it’s just the ultimate extension, and it’s what people expect. To not give that to them is doing a disservice to your audience more so than it is even to you as the person who holds that list. Jerod Morris: I think with the schedule you’re keeping, you may run out of entrepreneurs by December. Maybe that’s why you’ll move on to something else. Jonny Nastor: It’s quite possible. Jerod Morris: Here’s an interesting question. Would you rather have an email subscriber or an iTunes review? Jonny Nastor: I would absolutely rather have an email subscriber. Jerod Morris: I agree. Why? Jonny Nastor: For one thing, because I can email that person and asked them to leave me a review later. The last episode, the person whose question we used was like, ‘evil8092496.’ That was their name. We have no idea who that person is. There’s no connection. They can one-way leave us a review, and we don’t know who they are. We can’t respond back. Somebody, when they get an email from me and they reply to me, I literally get that reply and can talk back. I can be like, “Here’s my phone number. Why don’t you call me? We’ll chat.” We can do whatever we want. We can meet somewhere in person. We can’t do that from an iTunes review. We can’t go from an iTunes review to an email list, but I can go from an email list and get them and ask them to leave me a review if I wish. Jerod Morris: There are a couple additional tips here that I want to run down. One is to segment lists where it’s appropriate, and shoot, that’s an entire online course on how to segment. Just to use a simple example, with The Showrunner, we started the main list. Then, once we launched the course, now we have the people who are inside of the course on another list. They get an email that is separate every Wednesday from the people who are just on the general list, which makes sense. The people in the course have obviously paid money. We’re developing a more intimate relationship with them, and we have additional information to send them about course updates and other things that we don’t have for the general list. When you have those opportunities to segment, do it. It does create a little bit more work, but a lot of times, that work is worth it. One other lesson about email is — and I learned this from The Assembly Call. I’ve learned it from The Showrunner. Jon, you talked about how getting on your email list is a direct line into your inbox. As content creators, sometimes we can think, “Oh boy, that’s exactly what I want is the people who listen to be emailing me, and now I’ve got to spend extra time replying back and doing all this.” I will just say that it can be daunting. That’s okay, because none of us have a lot of extra time to use. If there isn’t a part of you that’s excited about that chance to deepen that connection answer a question or get to know this person a little bit better, then I question how committed you are to really building an audience. I saw it with The Showrunner early on, when we would ask people questions inside of the email. People would respond, and we’d get a little bit of a back-and-forth going. A number of those people ended up being people who joined us in the course, and they’re people who have continued to listen. I don’t think it’s a coincidence that those people that we went out of our way to deepen the relationship with and invest time in — which is what email allows you to do with certain people who will take that next step of replying or emailing to you — it’s a really big opportunity. That’s another benefit of email, is that you get those chances, especially if you’ll go out and request them and have people reply to you. 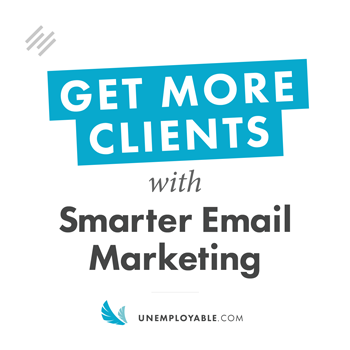 The thing with this topic, Jon, is we could probably do a whole course on email with podcasting, but we just want to run down some general tips and make sure that people are thinking about these things. Obviously, you can go out and either ask us questions or go out and find more information on the specific ways to implement this stuff. We wanted this episode to be an overview because I know a lot of people have questions about email and how to link it with a podcast. 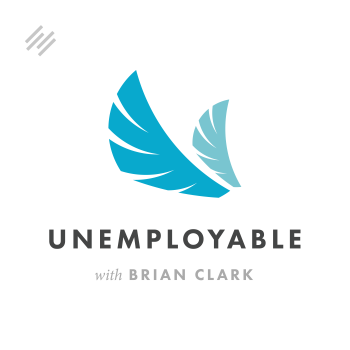 Jonny Nastor: Yeah, linking it with a podcast — you said segmentation. Segmentation is brilliant. I use it in my business. That’s not in my podcasting right now, but I use it in my business. That’s, to me, email marketing. When people are buying products or doing things, you have to send automated messages. I’m not saying every message or every email I send to every person in my business is not automated, because they obviously are. From Hack the Entrepreneur and my email list that I build there, which is, I think, the email list you should try and build from your podcast initially, there’s not really places to segment and do things like that at that point. That’s a newsletter that’s the human connection. You have to make that connection there. 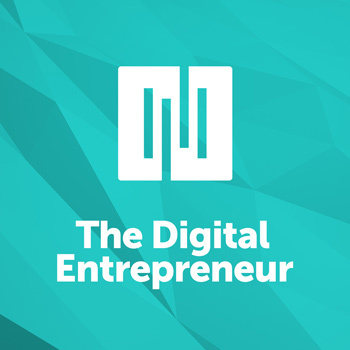 It’s true, there’s a lot of people that came off my Hack the Entrepreneur newsletter that I emailed about the course when it was live and then ended up in the course, and then they ended up maybe getting some automated messages from the course at that point. Jonny Nastor: The initial list and the initial connection, that’s where I really think you have to say, “Hit ‘reply.’ I would love to talk to you,” and mean it. When they reply to you, you have to be there to respond. That is the connection. When you say that it could be a whole course, it’s true, because there’s that whole email marketing thing where building up and selling different products and then segmenting in that way, of course, is amazingly powerful. From your show, your one call to action, I think that should be a direct line to you. That’s audience building. This isn’t email marketing at this point, although yes, you get to the market and sell eventually to those people once to build up that relationship. But if you try and do that with an automated message as soon as they sign up — “Oh, have you checked out my new product?” — they don’t even know who you are except that they heard you a couple times on your podcast. They decided to take the next step and deepen that relationship, and then you just throw something back at them. It shows that you don’t care. If you don’t care, why are they going to care? To me, instantly, I was like, “This is what I have to do.” Then I put out a newsletter on Sundays, exactly the same as Chris Brogan. I didn’t start for a few months, but that’s what I did. I didn’t reinvent the wheel. It works for him. I’m going to do it in that way because I know that’s a great place to start because I’ve seen it work. I’ll change it later if I need to. He told us at the conference that he has 32,000 people on his email list. When he sends out a newsletter, he has to sit there for three hours after replying to people, but it works. It’s a powerful, amazing thing. Don’t neglect it. You have to be there for it. You have to do it. Jerod Morris: I’d like for you to comment, Jon, on the importance of thinking about your email schedule, like your podcast schedule, as a commitment that must be kept. Because when we were in Denver a couple weeks ago, you had a newsletter that was going to come out on Sunday. It was 10:30 or whatever, and you were in a hotel bar working on your newsletter as opposed to being out or being up in the mountains or doing whatever else you would have done in Denver. You were there working on that newsletter because you made a commitment to do it. I’ve had sites in the past where I’ve had a newsletter, and it was going to be a Sunday newsletter, and it was hot and heavy for a while. The audience was really building. It fell off, and the audience connection eroded. That was not a coincidence. That commitment is a promise, and that’s the way that you build trust with your audience. 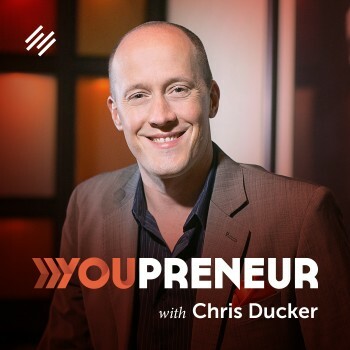 I just want you to comment on that, because I was really impressed by that, that — come hell or high water — you’re going to get that newsletter out just like you get those episodes out of Hack the Entrepreneur every single time your audience is expecting them. Jonny Nastor: It is really that reply. It’s hard sometimes, late Saturday night, or Sunday afternoon when I’m actually writing the email right before I send it. When I do write it properly, and I put the work into it, and my mind goes to it, and I hit ‘send’ the next day and then I get 30 people reply to me, it’s an amazing feeling. It really is. When people are like, “I can’t wait for Sunday afternoon to get this because I know it’s going to push me through the next week,” that’s awesome. That’s amazing. I’m not going to miss. I don’t care what it takes. If I’m in the hospital, I’m going to write that newsletter. It probably wouldn’t be as good because I’ll be all drugged up or something. Jerod Morris: Or maybe it’ll be better. Jonny Nastor: Maybe it’ll be better. I started writing with 17 people not that long ago. I don’t have that many more than that right now. I mean, I have hundreds, but I don’t have 1,000. I don’t have 10,000 people, trust me. I still pour my heart and soul into it. That schedule, the deadline, we just know it from reading procrastination blogs or something. Having that deadline, whether it’s artificial or enforced by someone else, now I have a bunch of people waiting for it. I can’t miss it. It’s embarrassing, almost, to miss it now. It’s cool, it helps. I make that very clear — that every Sunday, you’re going to get this. That’s just what it is. You have to set up these things sometimes to get yourself rolling. Then there’s going to be people wanting it. Even if there are 10 people wanting to hear from you, write that email to them. Write it, and keep that schedule, because like the podcast, if I miss that Sunday, they just might not be as interested to open it the following Sunday because they’re going to go on to something else’s newsletter that day. That’s just how it is. Jerod Morris: Yeah, and it almost becomes a dual commitment. You’re writing it, and they know they’re going to open it. I mentioned one side of mine where the email newsletter fell off. The Assembly Call, where we email people the morning after every game without fail, we’ve done that for two years now. It’s no coincidence that that list went from 10 to 1,000 over those two seasons and that it got more a lot more engaged. It’s one of those things, again, where attitude so often determines how far you’re going to go with online content so much more than aptitude. Chris Brogan is a great example. You’re a great example. What’s funny is, the greater your attitude is, your aptitude usually catches up. Even if someone started out ahead of you, you’re going to surpass them by far just because they’re more experienced and there’s more interaction. You get better. Jerod Morris: The last point I want to make about email before we move on is that it’s essential that you make it easy to sign up. You want to reduce both fear and friction that can prevent people from signing up. What can cause fear of people wanting people to sign up for your email newsletter or the list that you’re building? They don’t know what they’re going to get from you. They think they’re going to be spammed. They’re going to sign up for a newsletter, and then they’re going to get five marketing messages. Be clear what people are getting when they sign up, and then give them exactly that. That will help reduce the fear. We don’t need your name. We don’t need your last name. We don’t need any of that. If you take the next step and join the course or do something else and become a customer, we’ll get all that information. For the general newsletter, we don’t need it. That can actually cause friction, because every single field you put in is going to decrease the likelihood of people actually filling it out. Decrease friction. Reduce fear. That helps you get as many possible people on that list as possible. Jonny Nastor: That’s a great point. That whole “don’t get your first name” — it used to be, five years ago, people were like, “First name. Last name.” Then they try and, “Jon Nastor, how are you today?” at the beginning of the email. I know you’re not writing my name personally. 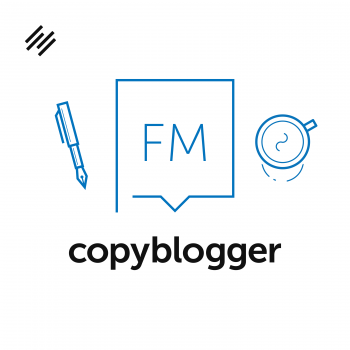 I think I actually learned it from Copyblogger — the fact that all I need is an email. Just make it as frictionless as possible. I collect nothing else except for an email on every place on my site that I gather it. Jerod Morris: Yeah, absolutely. All right. We could spend a lot more time talking about this. Jonny Nastor: We could, yeah. Email is huge. It’s a massive part of the whole game of podcasting. It really is. Then just business online in general. You have to get that list of people. You really do. Let’s stop going off about it. We’ll create a course about it later. Jerod Morris: We will. 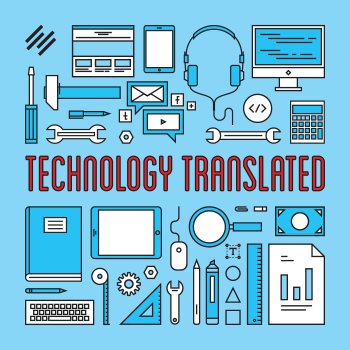 Again, our point is if you’re not thinking about email with your podcast, we wanted to get you thinking about it with this episode and give you the overview so that you know what elements to think about. If you already are doing email, hopefully this jogged your mind a little bit for an area that you can improve on something else that you can do a little bit better. If you have tips on email that have worked for you and strategies that have worked for you, we’d love to hear them. Tweet us at @ShowrunnerFM. You can email us, too: Showrunner@Rainmaker.FM. We’d love to hear what’s working for you with email, because I know there’s a lot of different strategies and a lot of ways that work out there. We love sharing those ideas with you and learning from you as well. All right Jon, how about we go to a listener question, shall we? Jerod Morris: First before we do that, real quick, I actually have a question for you if you don’t mind me asking. I’m curious — how long have you been using Rainmaker, the platform? Jonny Nastor: I think less than 3 months now. Jerod Morris: Okay. What, of all the features in there — obviously, because there’s a lot of features — has been your favorite so far? Jonny Nastor: I answered this exact question numerous times at the conference, so I’m good with it. What is my favorite features of Rainmaker Platform? My favorite feature, I’ve realized, is almost the lack of features, if you will. Coming from WordPress, which most of us have, it’s plugins. It’s updating everything. It’s doing all these things. 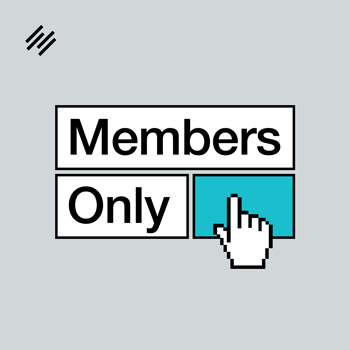 So every time you log into your site, you have all these little things — these little numbers and stuff. I was going here to write a blog post, but now I’m updating and doing all this stuff. I’ve realized that I literally log into Rainmaker, and there’s an ‘Add New’ at the top. Then there’s ‘New podcast episode,’ ‘New blog post,’ ‘New page,’ ‘New AB split test,’ or ‘New lesson,’ now, with the LMS thing. It’s the content creator’s dream where my only function here, right now, is to create content and put it up, and that’s amazing. Jerod Morris: If you would like a simplified content creation process, go to RainmakerPlatform.com. Give it a try. You get a 14-day free trial, and you can see exactly what Jon is talking about. Okay, our listener question, Jon, this comes to us from Twitter. This is Alex C. Forest. He says, “How do you decide if you need a co-host for a podcast?” Before I chime in, Jon, I’d like to get your thoughts on this first. Listener Question: To Co-Host, or Not to Co-Host? Jonny Nastor: This is good. My first podcast ever, I had a co-host because I didn’t think I could do it myself. Rather than not podcasting, I did it with somebody who was really good at podcasting, Albert Hathazi actually. If you’re in the course, you can see him, and he shows up in a couple videos. There’s lots of things that go on. If you’re struggling with creating your first one and you think that having a co-host in any way would help you just get started — I wanted to say ‘sta-rt’ on two lines like your presentation, but I couldn’t do it — I think that that’s a great reason to have a co-host. If that will help you launch your show, then perfect. If you’ve had a show and you’re confident and you just think that a co-host might make it better, I don’t think that that’s the case. Honestly, I don’t think that’s the case beyond the fact that partnering with people in any sort of business can be amazing if that’s what helps it get done, because you need their skills that you don’t have, and you’ll become better than just one. You join together and become way better, and you can do better things. If that’s what it is that you need to get started, then do it. If you’re just adding somebody, though, just to add somebody because they’re your friend, it’s hard. It’s hard to have somebody with the same amount of involvement, the same amount that you’re going to put into it. You can end up dragging somebody along, and then it’s hard. It’s not beneficial to you. Then my last part is, interviews with two hosts I find confusing sometimes. When people do just interview shows, I find it weird when there are two co-hosts the whole time, always with another person. It’s hard to interject and have a solid conversation with three people. It’s way easier with two. If you’re doing a content show where you’re expert-based, then obviously two is way better than a monologue because you could then have a dialogue. That’s my opinion on co-hosts. This show is great for it because of the fact that we don’t interview people. We are the experts in our field, and we can have this dialogue. I think it’s more interesting for our listeners, so it’s beneficial. Plus you do all the editing and the writing, and you do amazing parts of it that I don’t have to do. It allows me to do this in addition to other stuff that I’m doing. Jerod Morris: You said pretty much everything I was going to say. I think the default should be that you don’t have a co-host — you’re going to do it yourself. Then, if you have legitimate reasons to add a co-host — I always ask people, “What are three reasons a co-host will help?” If you’ve got those three reasons and they make sense, then do it. I wouldn’t start with a default that you need a co-host because it does add some complications in terms of scheduling and that kind of thing. It’s a little less simple, but sometimes the benefits far outweigh any complications, as with this show. Jonny Nastor: The Showrunner would be terrible if it was just me. It really would. Jerod Morris: I don’t know. I think it would be pretty good. I wouldn’t mind listening to those episodes. You want to take the next eight? Jonny Nastor: There we go. That’s our answer for co-hosting or not to co-host. To co-host or not to co-host, that is the question. Jerod Morris: That is the question. Indeed it is. Now the question, Jon, is what podcast do you recommend for this week? We’ll get to those here in just a second. Jerod Morris: What is your podcast recommendation for the week? Jonny Nastor: The Moth Podcast. It’s storytelling. They do it live on stage. It’s either in New York or else they travel around now. People go up and tell five-minute, 10-minute, 20-minute, 30-minute stories. They’ve been doing it for a couple years now. It’s amazing. I’m getting ready for a road trip, and this is when we as a family listen to The Moth. It’s brilliant. The guy that runs it is Dan Kennedy, I believe his name is. Not the marketer, but he’s an author, and he’s a brilliant host of it. That’s it — The Moth Podcast. It’s brilliant story writing. Jerod Morris: Interesting. I’m going to have to check that one out. I have not listened to that one yet. 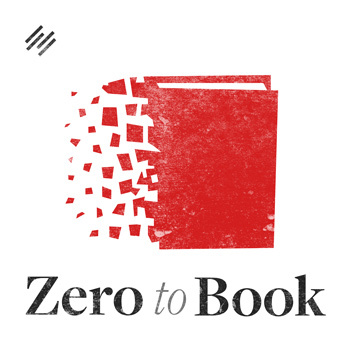 My recommendation is the Three Month Vacation Podcast by Sean D’Souza, and specifically episode 39 on how infotainment creates binge consumption. 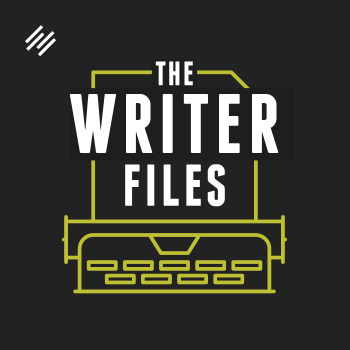 I think this is a very educational episode for you as an aspiring showrunner, because usefulness is an extremely important part of creating a remarkable show. That means your episodes need to educate. They need to entertain or inspire or some combination of the three. 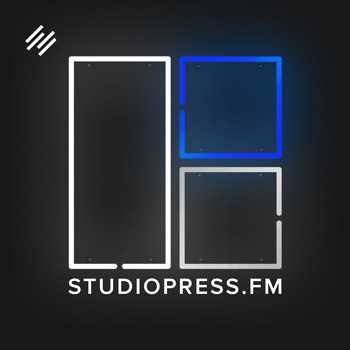 Sean talked about this idea of infotainment, combining entertainment and education, and how podcasts specifically, as a content medium, really allow you to do it well. That’s one of the reasons why they are so popular. I highly recommend that episode. 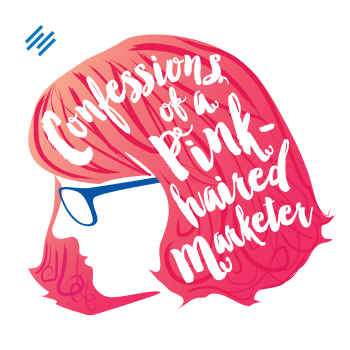 Plus, Sean does some interesting things with his production that are instructive, and it gives me an opportunity to give him a big podcast high-five for an incredible presentation at Authority Rainmaker. He was sick. He was ill. Basically, he wasn’t talking for the first 48 hours we got there because he wanted to save his voice. You can tell when he was up there on stage that he was sniffly, and he was coughing. The energy that he brought and the enthusiasm that he brought … it was just a great presentation. I half expected him to be like Michael Jordan after the flu game in the ‘93 finals where he just fell into Scottie Pippen’s arms at the end. I thought he was going to fall into Renuka’s arms at the end when he walked off stage. It was that kind of performance. Anyway, Sean, if you’re listening, hat tip to you for an incredible commitment to your audience. Because he was damn sure that he was going to give a great presentation, and he did. Kudos to Sean D’Souza. Check out his podcast, the Three Month Vacation. As we wrap up here, Jon, of course we’re trying some new things with our call to action and doing some different calls to action at the end of our episodes to encourage people to keep listening and reward the folks who continue to listen. Last week, we asked you to share the short letter with a friend and tell us who you shared it with. This week, we want to know what makes your show remarkable. We really do. We want to know. 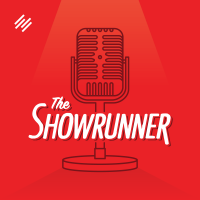 Send us a Tweet @ShowrunnerFM, or send us an email to Showrunner@Rainmaker.FM and tell us. What is one thing that you think makes your show remarkable? This is not the time for meekness. This is the time for you to be proud about what you’re doing as a showrunner and let us know what you think is that single element that helps you connect with your audience and give your audience a remarkable experience. Maybe you’re struggling to think of one, and that’s okay, too. If you are, then tell us what you want to be remarkable about the show and how you can make it so. What’s missing? Why is that element not there? Certainly if we can think of anything, we’ll help you, but we want to know. 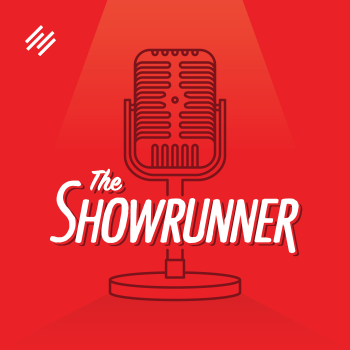 Either one, whichever one you’re feeling, let us know @ShowrunnerFM on Twitter or email us Showrunner@Rainmaker.FM. 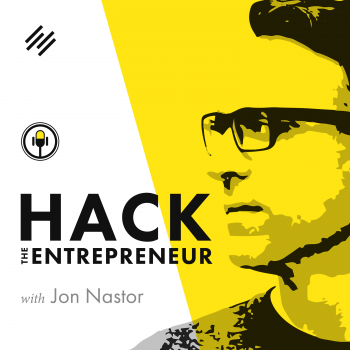 What do you think is remarkable about Hack the Entrepreneur, Jon? Jonny Nastor: It seems to be my format. It really does. I guess it’s my catchphrase, my whole, “My name is Jon Nastor, but you can call me Jonny.” The amount of times that people said that to me at the conference that I’ve never met was — I almost feel like Bart Simpson: “Don’t have a cow, man.” I’ve got this weird catchphrase that I started inadvertently, but that tells me that it stands out to people. Therefore it’s remarkable. People remember it, so it works. Jerod Morris: You know what I think is remarkable about the Showrunner? My co-host. Jerod Morris: All right, everybody. Let us know what you think is remarkable, and we will talk to you next week at another brand-new episode of The Showrunner. That was such a nice sigh. I don’t know, sometimes there’s just no perfect way to transition, so you just sigh, and you move on. Jonny Nastor: Yeah, you couldn’t have planned it. No, you couldn’t have planned it better. You’ve got to do that from now on though, make your slides like that. Jerod Morris: I should. I’m thinking about that because I want to use that presentation in the future. I’m wondering now if I should keep that slide how it is. Should I acknowledge it and tell the story or just let that slide live on its own without explanation? Jonny Nastor: All right, man, I’m going to be in Vancouver the next time we do this. Jerod Morris: That’s right, that’s exciting. Jonny Nastor: It is exciting. Jerod Morris: That’s very exciting. Good luck with the move. Jerod Morris: If you need any help with anything, let me know. I don’t know what I can do, but I’ll take care of these 2 episodes. Jonny Nastor: Come and carry my television? That would be great. Jerod Morris: Yeah, that’s another reason to have a co-host. When you move, you can ask them to help carry things. Jonny Nastor: Exactly. Come up from Texas and move my television, please.